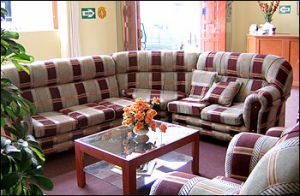 The Hostel Palacio Real is located in the Historical Cusco centre, and has archaeological remains. Next to it are found the most important commercial shops, parks, plazas, churches, museums, banks and other. 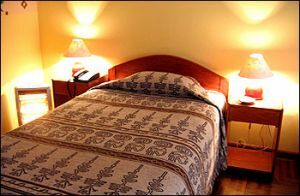 Even though it is a modern construction, it has a colonial look, with carved balconies and colonial looking furniture. 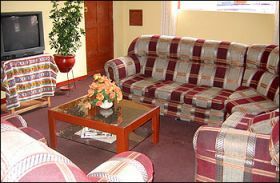 It has been built over ancient structures, with many carpets in the rooms, halls and stairways, which gives it an owned Hostel Palacio Real, having the personalized service as its main feature. 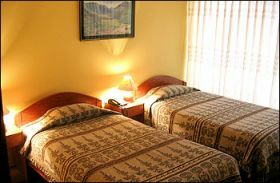 We are tree block from the main square, right in the heart of the Historical Cusco Centre: Portal Mantas 115.